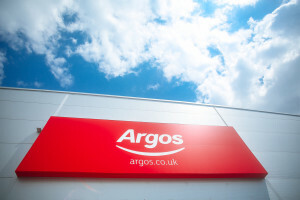 Sales through Argos’s Fast-Track delivery service grew by 18 per cent in the first half, while sales through the Fast-Track Click and Collect service was up 21 per cent, parent company Sainsbury’s said in the half year results. Sainsbury’s opened 60 Argos stores in its supermarkets in the first half, bringing the total to 251. It also has 233 order collection points in supermarkets and convenience stores. It said that since the half year its had realised the £160m Argos EBITDA synergy target nine months ahead of the original schedule. General Merchandise sales, including Argos, grew 1.5 per cent in the first half, but margins remain under pressure. Group sales were up 3.5 per cent to £16.9 billion in the half year to 28th September. One a like-for-lie basis the increase was 0.6 per cent. Operating profit was down from £283m to £152m – the result of one-off integration and restructuring costs. Chief executive Mike Coupe said: The market remains very competitive and we are transforming our business to meet rapidly changing customer needs.